Window treatment customers always have a variety of questions. However, there are particular questions that are invariably asked by the majority of people seeking out window coverings. We at Austin Blind Faith have put together some of the most common questions and have answered them for you right here. 1. Will this Window Treatment Serve as a Good Privacy Feature? Privacy is a priority for many who live in the suburbs or urban areas. Hard treatments such as blinds or shutters give the ultimate in privacy while fabric treatments vary in the amount of privacy offered. If privacy is a major concern, make sure to let your window covering consultant know as he or she will be able to recommend a fabric option in every type of product that will allow you to keep your privacy. 2. Are the Window Treatments Easy to Maintain? For ease of maintenance, roller shades are not only popular in private residences, they are also widely used in commercial properties. Lacking any horizontal surface to collect dust, a roller shade is as close as you can get to a no-fuss window treatment. 3. Will Wood Blinds Warp? It is only natural to be concerned about the effects of sun and moisture on natural wood. To eliminate this worry altogether, many customers opt for the aesthetic appeal of natural wood with the worry-free materials of faux wood. 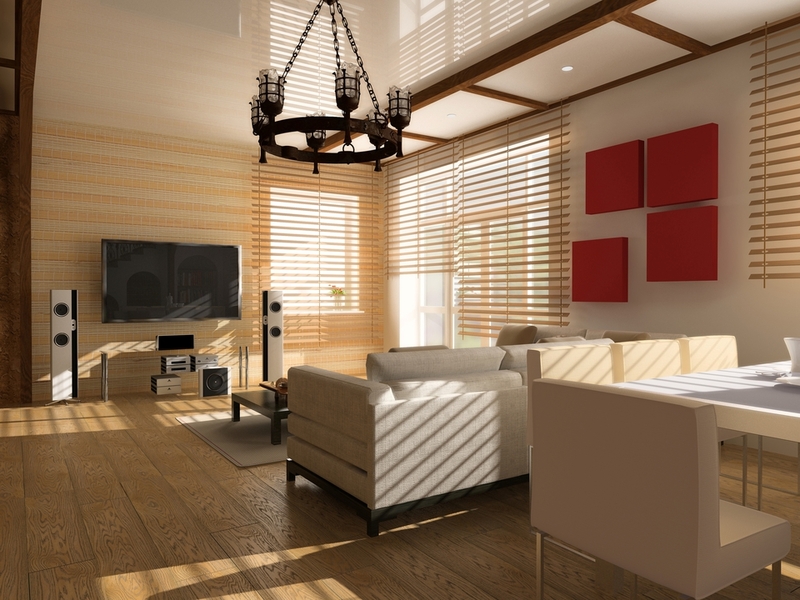 Constructed of polymers, faux wood blinds will not chip, crack, or peel. Customization options for color, valance presentation, and lift choice make the faux wood option increasingly popular. 4. Are Window Treatments Safe for My Kids & Pets? Some window treatment products such as shutters or hand drawn draperies are inherently cordless and are therefore automatically safer for children and pets while other products such as roller shades, honeycomb shades, blinds or woven woods have cordless features that can be added to make the treatments safer. Unfortunately, when considering a cordless option, you must also consider whether or not you can reach the top of the window to completely open the treatment. Due to this constraint, many more clients are moving towards motorizing their window treatments so they are safe for children, clean in appearance and completely functional. Learn more from our recent article on Window Covering Safety Month. 5. What Type of Warranty Does My Window Treatment Feature? In addition to our manufacturer’s warranty covering workmanship of the product, the Austin Blind Faith warranty goes even further. If anything happens to your window treatment within the first year, and I mean anything, even a mishap with a chew crazy dog, it will be repaired or replaced free of charge. 6. Where Is My Window Treatment Manufactured? Kasmir draperies are made in Dallas, TX. DeLaine James products are manufactured right here in the Austin area. From local manufacturing to origins in the far east like China, a window treatment might be constructed any number of places. If a customer has a specific preference for manufacturing origins, there are options to fulfill that desire. 7. Which Window Treatment Offers the Best UV Protection & Insulation? For the best insulation feature, cellular shades might be your window treatment of choice. Their construction provides insulation against temperature extremes, sound absorption and fabric options that can provide blackout features. Hundreds of color options, as well as the completely washable nature of some, only increase the appeal of cellular shades. Our roller shade line is another popular choice for UV protection especially if a beautiful view is important. Most of our roller shade fabrics have had extensive studies performed on them so that we can tell you exactly what percentage of UV is reflected and absorbed. Even if your question is not featured in these top 7 questions, we are happy to answer any window treatment question you may have. Please contact us for more information. We can advise you on the best options to meet your needs. It is easy to schedule a free, no obligation in-home consultation with one of our window covering specialists.